The aging of baby boomers means that older population segments will outnumber children for the first time in U.S. history, according to the U.S. Census Bureau. According to Jonathan Vespa, a demographer with the U.S. Census Bureau, “there will be 78.0 million people 65 years and older compared to 76.7 million (previously 76.4 million) under the age of 18” by 2035. By 2030, all baby boomers will be older than age 65 and 1 in every 5 residents will be retirement age. In Florida, people over 60 make up nearly 23% of the State’s population. By 2020, the State is expected to have a population of over 23.5 million, and people over 60 will make up over 28% of that population according to Florida’s Department of Elder Affairs. To meet the demand, the state anticipates a 47.5% projected growth in the number of home health aides needed from 2016 to 2026, according to Projections Central. In Texas, the aging of the Baby Boom generation is projected to yield an elder population of 5.9 million, or 19.4% of the state’s total population in 2030. At this point, just under 1 in 5 people in Texas will be over 64 years of age. This growing population is likely to present new challenges. 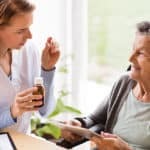 To meet the demand, the state anticipates a 42.7% projected growth in the number of home health aides needed from 2016 to 2026, according to Projections Central. If California simply maintains its current level of coverage, the California Employment Development Department forecasts that an additional 200,000 homecare workers will be needed by 2024. If the homecare industry were expanded to cover all individuals who have a self-care limitation, the UC Berkeley Center for Labor Research and Education estimates that California would need at least 600,000 and as many as 3.2 million additional workers by 2030. Many home health agencies are currently dealing with a staffing shortage and also anticipating a greater health workforce shortage in coming years. 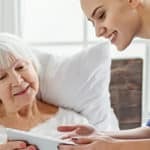 Andrea Devoti of the National Association for Home Care & Hospice (NAHC) said that recruiting and retaining qualified personnel to work in the homes of patients is a top concern of agency managers and owners. Employee churn – which can lead to cancelled/rescheduled appointments and undermine an agency’s ability to take on new patients – can lead to a breakdown in the continuum of care, weaker overall outcomes, and an increased risk of readmissions. Ultimately, this can adversely impact an agency’s reputation amongst community and institutional referral sources. Implementing a virtual care platform can help your organization better utilize your current staff while being able to provide better – meaning, more timely and higher quality – care to your patients. 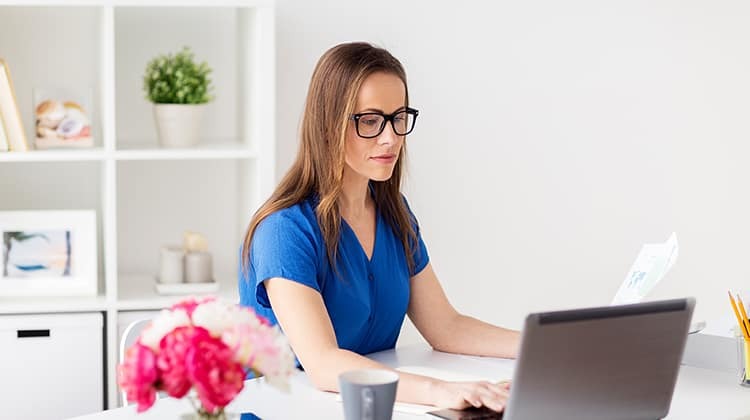 Instead of spending most of the day behind the wheel, nursing staff can increase their productivity by using the platform to engage patients in virtual visits and continue to provide frequent updates about their medication, upcoming appointments, and overall well-being. The reduction in weekly travel time (along with a corresponding decrease in related expenses and liabilities) positively impacts an agency’s bottom line and ability to optimize the use of their current staff. Staff will appreciate the flexibility in being able provide care from any location throughout the day, night, and geography they serve. 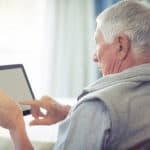 Given the immediacy and impact of virtual care, agencies can use the platform to achieve greater staff satisfaction, retention, and engagement – thus, helping a home healthcare organization achieve the Quadruple Aim in healthcare.